Life can throw many challenges our way and in my experience, there are very few that are as trying and agonizing as mending a broken heart. Be it the drawn out, painful end to a long term relationship or the abrupt collapse of a relationship that was just getting off the ground, the aftermath leaves you hurting in places you didn’t even know could feel pain. I’ve been there, you’ve probably been there, and no matter how many times you go through it, it doesn’t get easier. 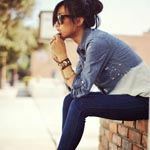 We’ve covered a bevy of relationship topics on ANM over the years, but we haven’t really gone into the nitty gritty of how to heal a broken heart. It is a very important step in the finding-love equation….the sooner you can put yourself back together, the sooner you can move on and find the right relationship. There’s no way around this one, you gotta cry, you gotta feel awful, and you gotta let it out. Burn his pictures, listen to Alanis Morisette’s “You Outta Know” on repeat (follow by Sinead O’Connor’s “Nothing Compares” when the anger morphs to despair), vent to your girlfriends, scream, cry, yell— do what you have to do to let the feelings out. When faced with such ugly emotions, most of us try to run away from the feelings. We’ll stay busy doing anything and everything: partying, drinking, finding a new guy to serve as a quick fix, lapsing into a Ben & Jerry’s induced coma. While doing these things can temporarily alleviate the pain, it will come back with a vengence. And it will continue to resurface until you deal with it. Once you’ve acknowledged and processed your hurt/anger/sadness/pain you can throw yourself into other things to keep from obsessing. Spend time with your girlfriends, go on a shopping spree, find a show on Netflix to binge on, try a new exercise class, do some volunteer work (this will really help with the healing process by getting you out of your own head), take an art class……you get the point. The more you dwell, the worse it will be, so do whatever you have to in order to keep your mind busy and on anything other than him! Staying busy is a good offensive move to keep thoughts of him away, but it’s not fool-proof. The second there’s a lull, he’ll pop right in and your mind and before you know it you’ll be going back in time, trying to figure out where it all went wrong and what you could have or should have done differently. Let me ask you: can you actually press a rewind button, go back, and do things differently? No! So what the heck is the point of figuring out exactly what you would have done if you could do it over? Learning lessons through the pain is one thing, torturing yourself over all the ways you fell short is agony. It won’t be easy, but the second he pops into your head, pluck him out and stick something else in there! As perfect as you think this guy is, you broke up for a reason so the relationship couldn’t have been an ideal one. It’s far too easy for things to look all rosy and ideal through the rear-view mirror, even when you know deep down that things were far from perfect. If you catch yourself idealizing and obsessing, it’s time to go down the cliche route and make a list of his faults. Take the time to really think about each one, consider the implications and how that behavior impacted the relationship. When you’re done with this, make a list of the qualities you want in a guy. When you see the disparities, you’ll realize that the ex is not the one for you. Once you’ve gone through the other steps (the time it takes varies per person), it’s time for my favorite heartbreak-healing exercise. Get yourself relaxed, turn off all electronic devices, and spend a minute or two breathing in and out. Once you’re in a place of calm and focus, visualize what you want your next relationship to be like. Picture the way your guy will treat you and how it makes you feel. Picture yourself having that amazing, fun, fulfilling relationship you’ve always wanted. And let yourself feel those amazing, mushy, lovey feelings. “Seeing” this future relationship will get you excited about what’s up ahead for you and will make the future look much brighter than the past. Do this exercise as many times as needed to get you psyched for a future that doesn’t include him. -You’re not alone. I know it can feel like you’re the only one who has ever experience pain so intense and consuming, but many others have been there before you and emerged triumphant on the other side and soon, you will too. -You’re not really upset about him. The sadness you feel is largely coming from your inherent desire to be loved, a desire shared by all humans. The trouble is you’ve come to associate a person with love and feel that he’s the only one who can give it to you. The need for love and approval creates a deep feeling of lack within that can seriously delay you from moving on. Focus on working on your self-confidence to keep from falling into that trap. It is only when you feel happy on your own that you can experience true happiness with someone else. – Take a more objective perspective. There are three sides to every story: your side, his side, and the truth. We are all biased by our emotions which serve as the lens through which we interpret reality. Everything looks different depending on the context. If a guy treated you terribly or broke your heart, he probably doesn’t deserve the benefit of the doubt, but it will make you feel better so who cares what he deserves? Holding onto anger is restrictive. Try to see it from a more objective angle and you’ll be in much better shape. 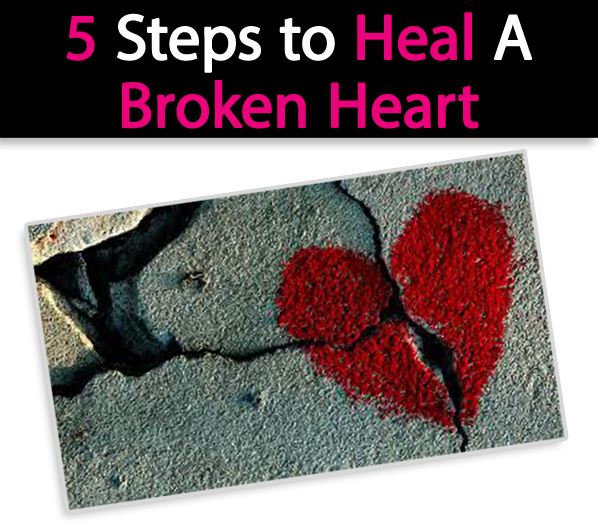 What are your steps to healing a broken heart? Tell us in comments! Its hard as ever to get over someone you love but I have sat and thought about it all and Id rather be happy than to be hurt. Good luck to you ladies and know that you all deserve more than hurt. You deserve to be loved. I accept the answer you gave me and yet I do believe in miracles and I know it would take a miracle to get the love of my life back in my life. AS for me I would at my age be happy just to be friends good friends with the love of my life. Even his children who don’t like me actually say that their dad was deeply involved with me which I take means they believe their dad was deeply in love with me and I know I was deeply in love with their dad. Life just got in the way and caused us to go our separate ways. My view and just venting. This article describes how I exactly feel at this point. It’s been 2 weeks since I broke up with my boyfriend. It has been so hard, I cannot explain the feelings. It’s a Rollar coaster. This was my first relationship I loved him so much. He treated me so poorly but I accepted his behaviour I do not know why. We broke up twice before but this time it’s for good. He was so stubborn and angry. His anger used to scare me. He didn’t think there was anything wrong with his behaviour. He knew I was the sort of girl he could control. I loved him more than myself. He never appreciated me at all. He would always do want he wants, didn’t respect me at all. I was so in love with him that I forgot about myself. I sometimes think I am crazy the amount of things I have done for him. When you do so much for someone and they treat you like a door mat. I knew it was wrong being with him, I had red flag signs from before but I kept ignoring it. Something in my heart didn’t feel right. He smoked weed everyday, gambled had serious anger issues and was so stubborn. I accepted his behaviour. I thought it was normal. I was scared of being alone and no one will love me. The more I did the more advantage he took. I was so romantic treated him like a king. It makes me feel so sad. That I wasted all my time effort and money into this relationship and ended up with a broken heart. Even tho I ended it I had to. It was not right at all. I hope he realises what he lost one day. His behaviour and attitude towards me pushed me away. Other people could see it except for me. Women are just so emotional and weak we accept men treating us unfairly and that’s not right. Even after all this and his treatment towards me I still love him I don’t know why. He has made me cry and out me through a lot. He won’t treat the next girl in his life like this because he knows they won’t put up with it. I was quiet non argumentative, insecure and he saw straight through me. I keep thinking he will have a perfect life and have a prefect girl. It makes me upset I can’t stand the thought of him being with another girl. I hope I can get through hi. At times I honestly feel so down and depressed feel like ending it all. This was a toxic relationship I wish I can be strong and it gets easier. I am too nice I hate it when your nice people walk all over you. I need to get over this and work on milt self and look to the future. I keep thinking negatively and think that I will never be happy. 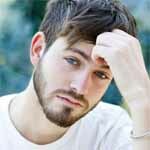 This article has helped me. Reading stuff like this motivates me when I feel down and weak. No matter what I don’t want to go back to him. I just want to be strong and move on. I loved this article, thank you so much for sharing your relationship wisdom with the world! well I’ve been asking this since the last two articles. Today I went to the ER bc I was falling apart And could not control my emotions over losing the man I love along with his friendship that I cherish. Well I’m so sick of talking. It does me no good but I do like the steps you list here….but for me hardest part is to just stop thinking. But do men go through this kind of depression too? I understood everything in this article, the man i was with for 3 years could’nt make up his mind i was a yo yo. He never talked about what he wanted and everytime i mentioned it he’d just got defensive and could’nt care less attitude. He actually wore me down until i ended it last week. I feel the intense loneliness but have accepted he was not the man for me, he is too self absorbed. He treated me badly and i suffered and still suffering with insecurities, I am also aware that I did somehow allow him to treat me this way by not leaving him sooner, although i did twice but he would reel me back in. I have just found out the reason behind his treatment, through a friend he confided in, telling me he could’nt commit to me. Well we all know what that means, it means he did’nt want to commit to me, i get that, but why the hell could’nt he have just said 3 months into it rather 3 years!!!!! and practically begged me to take him back after the first time i left. I am hurting as i invested alot into him, and i will get through it, thats a fact, its just always difficult to pick yourself up and dust yourself down and start again. I did like your response Angelina Noles, that did make me laugh. Thanks for your advice. I just feel so sad today. But your articles are always great. Sometimes the best way to get over someone is to get underneath someone, works wonders!!! Find a new man PRONTO. This is amazing help for me right now!! I think working on self-confidence is key for me at the moment. I miss so much feeling loved by someone else..I need to find happiness by loving myself.